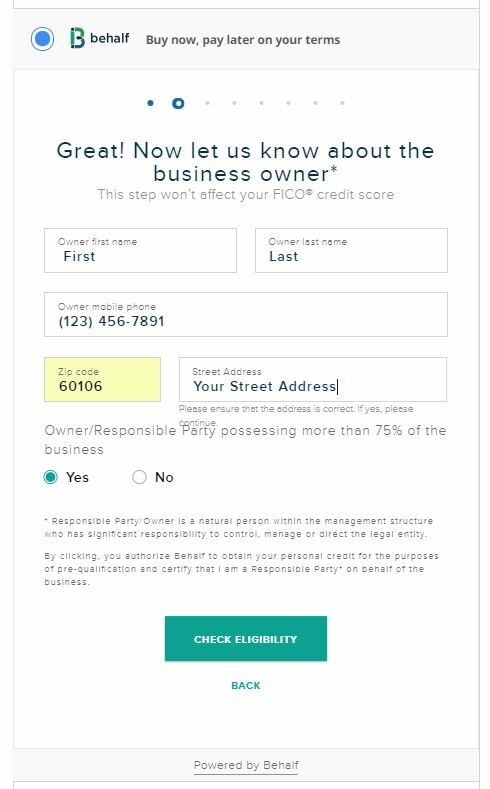 Now you can get instantly approved for Behalf Financing directly one the checkout page! It is easy just follow these directions. 1. 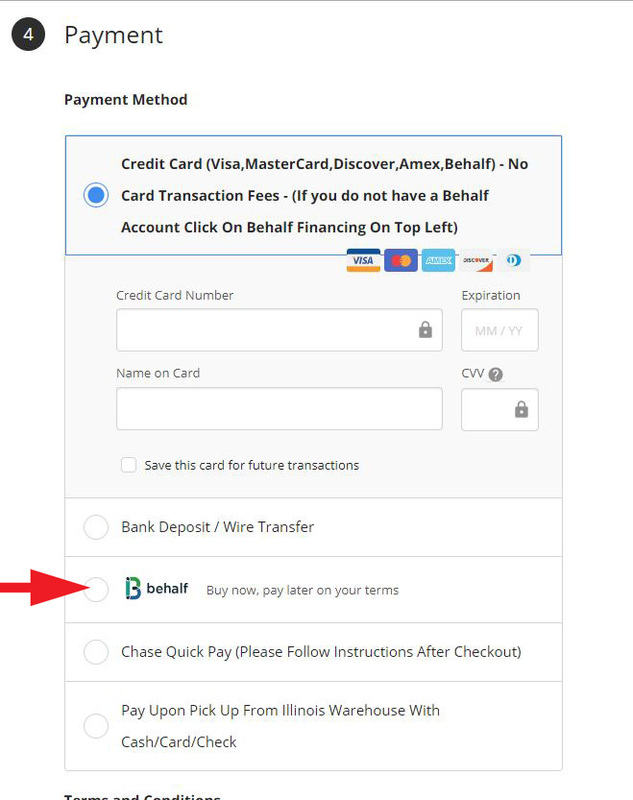 When on the check out page Go through the steps until you get to the payment section. Notice that you now have the option to make a selection next to the Behalf logo. 2. 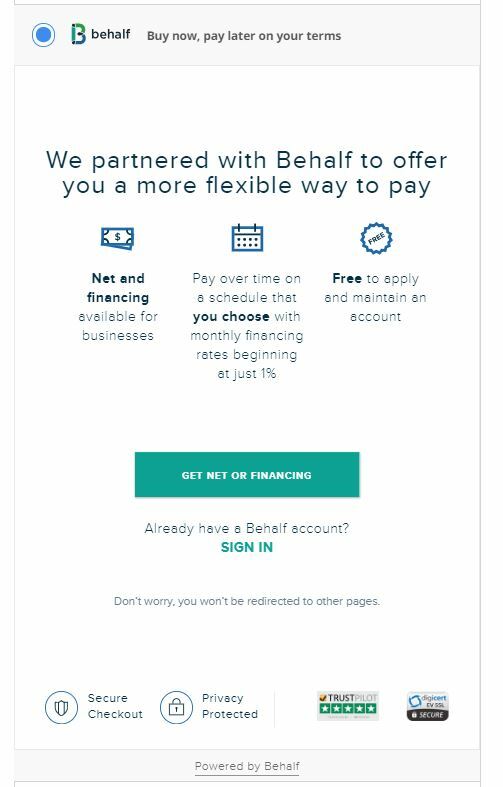 Select Behalf then click the green button "GET NET OR FINANCING"
3. 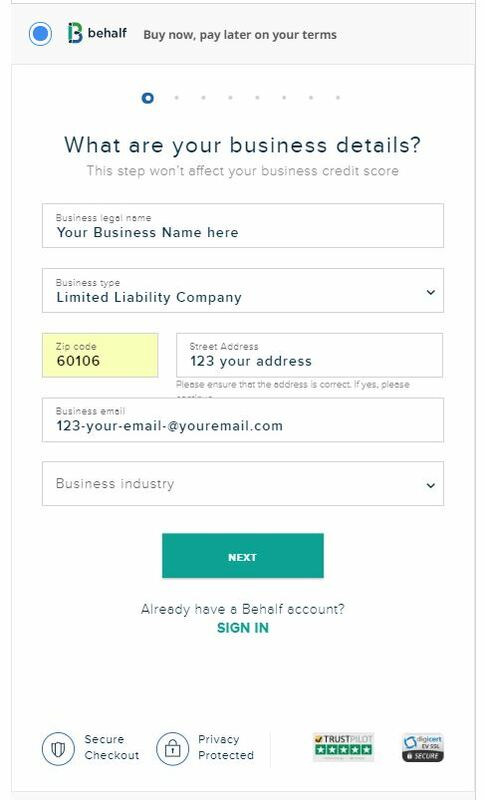 Input all your business details and click next. 4. When done filling out the required fields click "Check Eligibility".